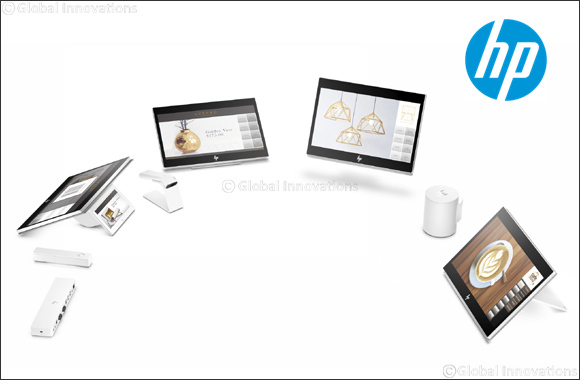 Dubai, United Arab Emirates, January 13, 2019 – HP Inc. announced innovative new solutions designed to meet the unique needs of small and medium-sized retailers and hospitality operators. “To effectively compete in today’s market, small and medium-sized retailers and hospitality operators need more than a cash register and a storefront,” said Natasja Andringa, EMEA Business Unit & Sales Manager, Retail Solutions, HP Inc.
Easy to set up. Experience business-ready simplicity with built-in peripherals like a magnetic stripe reader and NFC to authenticate associates, and a camera-based scanner to scan QR codes and merchandise. Do even more with optional peripherals such as a receipt printer, barcode scanner, fingerprint reader for added security, cash drawer, and iButton® reader. Enjoy the flexibility of a point-of-sale system that integrates seamlessly with popular third-party point-of-sale software and payment services from HP Partners. Reliable performance. Blaze through busy shifts with a system that includes the Android™ 8.1 OS which comes with an added layer of security, a powerful multi-core heterogenous Qualcomm® APQ8053 processor and your choice of CPU speed, memory, and storage. Focus on customers and business goals, instead of technical support, with the reassurance of an included one-year HP limited warranty; extend protection with Care Packs up to three years . HP Engage One Prime is expected to be available in February 2019 from HP and the company’s global network of authorized point-of sale partners. Additionally, retail ISVs including talech, Wynd, Systopia, Extenda Retail and Protel plan to support the solution.